There are several reasons, some of it due to cognitive bias', some due to evaluating for the wrong things. One of the reasons why this is such a challenge is what's called the Dunning-Kruger Effect, which psychologists also call Mount Stupid. It basically states that the more inexperienced we are, the more confident we are. Which, only makes your job trying to hire someone all that much more difficult. We know that to have more predictable pipelines, we have to have the right people in the right seats on the bus. So what should you be looking for in an ocean of candidates, to find those that are going to have more predictable results? Something better than a 50/50 shot. What a lot of sales leaders do is that they look for someone who has experience in selling in their industry. Unfortunately, just because they have that experience doesn't mean that they're going to succeed in your environment with your buyer. Or, maybe you're looking for qualities like competitiveness, and how outgoing they are, or how prepared and organized. While these qualities might be important to your buyer and to your sales culture, isn't it also possible that these are the same qualities that both your best sales people, and your worst sales people have? Does that actually help you then to predict who's going to be successful? No. Blackjack table still has better odds than you do. It's important to have, but it's not a predictor. And why are the things that I'm about to describe so important to getting predictable sales success? Which mindsets and skill sets are going to be your predictors of success? 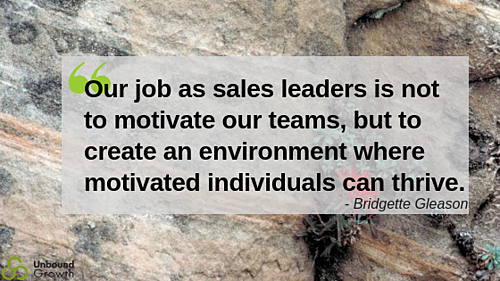 I think it was Bridgette Gleason who actually said to me once that our job as sales leaders is not to motivate our teams, but to create an environment where motivated individuals can thrive. This is so important to more predictable results, because what I've seen happen is that once that sales person who's overly confident but inexperienced gets hired, within a few weeks or months, realize that they don't know what to do and it creates what psychologists call an instance of cognitive dissonance. Or, a gap between wherever they are, and where they think they should be. This can be a really good thing, or a really, really bad thing. The difference that will determine whether it's a good thing or a bad thing, is whether or not that individual has a personally meaningful goal. Because if they have one, they'll do whatever it takes to make the changes. If they don't, they'll make excuses. That's why you should be objectively screening for and using your interview process to verify these things. Desire alone is not enough. Not by itself. You want to have desire, you can still fail, unless you have the commitment to do whatever it takes, no matter how difficult or uncomfortable. Because without that, sales people and sales managers will take the easy way out. We all want success. Though not all willing to commit to it. Now, while a positive outlook is critical to sales success, it's also critical to them taking responsibility. They need to take ownership of their outcomes, and see their part to play in their previous outcomes. 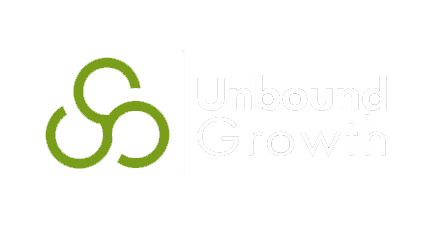 That helps you to determine how coachable and trainable they're going to be, to learn your process, and your buyer, and your products. The combination of all of these things indicates an incentive for them to change, and with that almost anything can be learned. If you read Angela Duckworth's book, Grit, or Carol Dweck's book, Mindset, these are the core principles of success today. Those who have an ability to stick to something no matter what, and have a growth mindset that they're always looking to improve, are going to have more predictable results. Now, we're only talking about the mindsets that are critical. As far as what skill sets that are critical, that's a little bit more of a complicated question. Because that's going to depend on at least 34 different factors, as to what your ideal sales person looks like. But, guess what? There's a tool for that. Click here to register for a Free Sales Candidate Assessment. Interested in getting live sales management tips? Join us on the next lab!